Automatic retraction of collimator jaws after power cut on the step motors. The gap opens from 1 mm to 60 mm! The RF contacts ensure the electrical conducitivity from the beam pipe to the Carbon-Carbon jaw! Finalize the design of the LHC collimation system in IR3 and IR7, taking into account all relevant requirements concerning robustness, performance, fabrication, installation, maintenance, machine protection, and beam operation. Produce prototype collimator tanks for TCP, TCS, and TCL type collimators and verify their performance. Supervise production and installation of the full system. Commission the system without and with beam. Support routine operation. 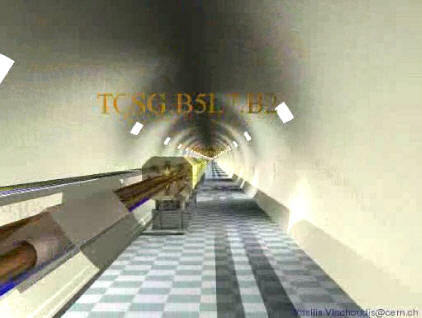 Why LHC collimation? Click for a short introduction! Schematic view for qualitative purposes. Save JPEG file to disk and open! 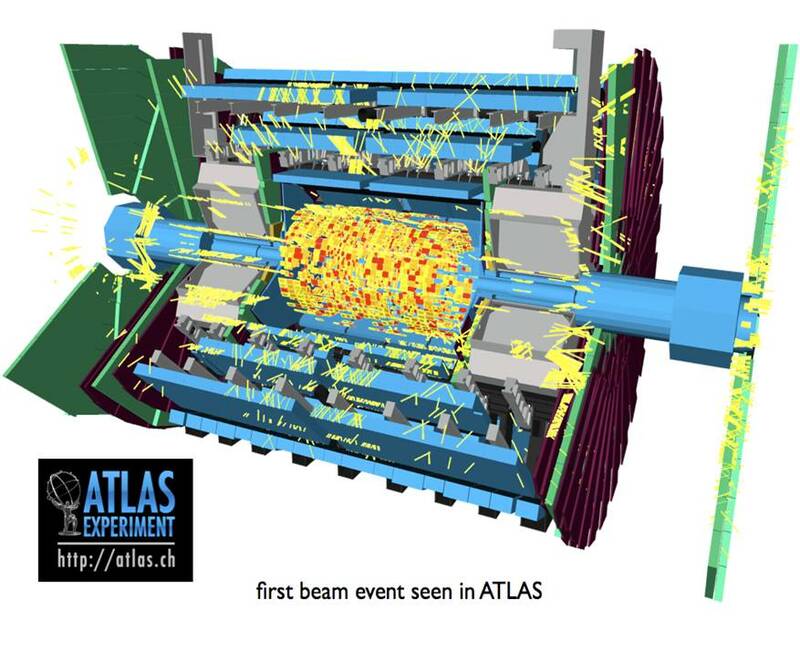 NEWS April 2016 The collimation system is commissioned for the 2016 LHC operation at a betastar of 40 cm, with the gaps at the primary collimators as small as 2.1 mm and a cleaning inefficiency of 3e-4. 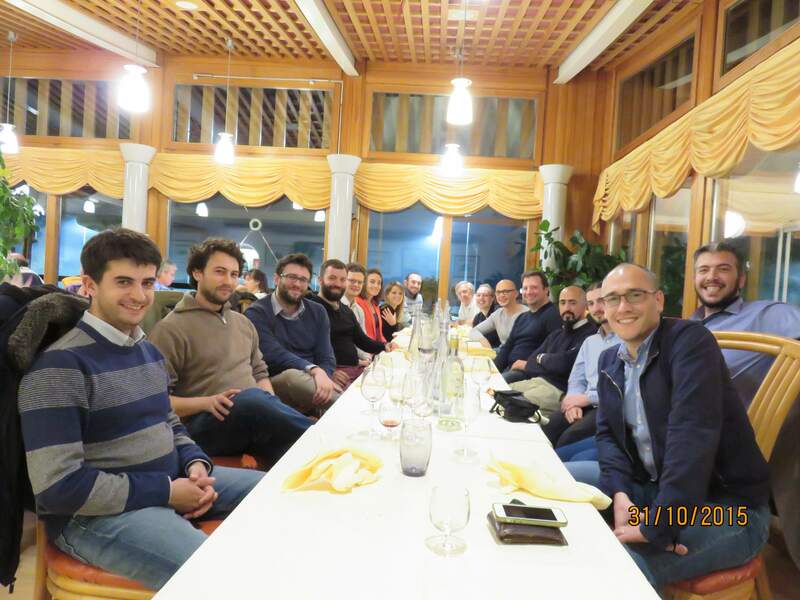 October 2015 A particle tracking workshop was held on the 30th October to review the status of the different tools for collimation studies, as well as results of benchmarking of simulations against measurements. Indico link here. May 2015 The collimation system has been commissioned for the full machine cycle. 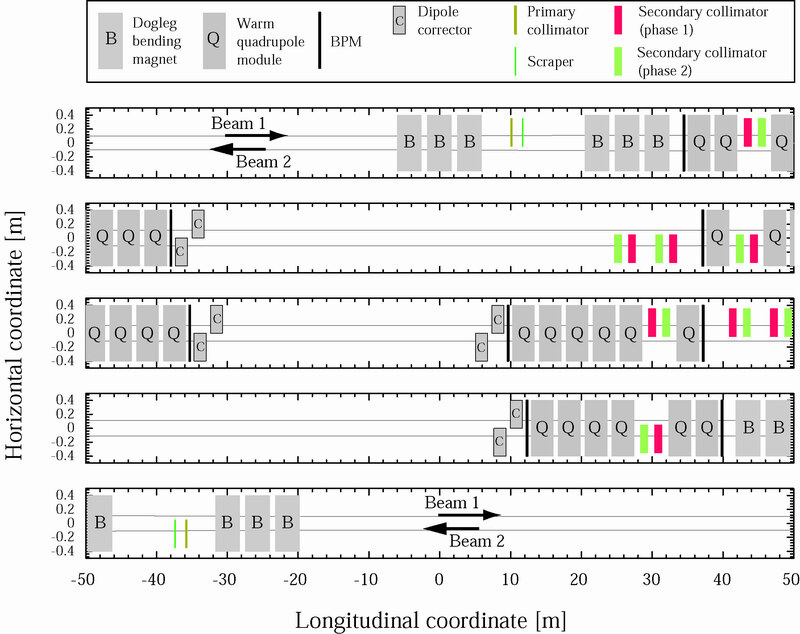 The settings calculated from the alignments at each stage have been verified via beam loss maps. 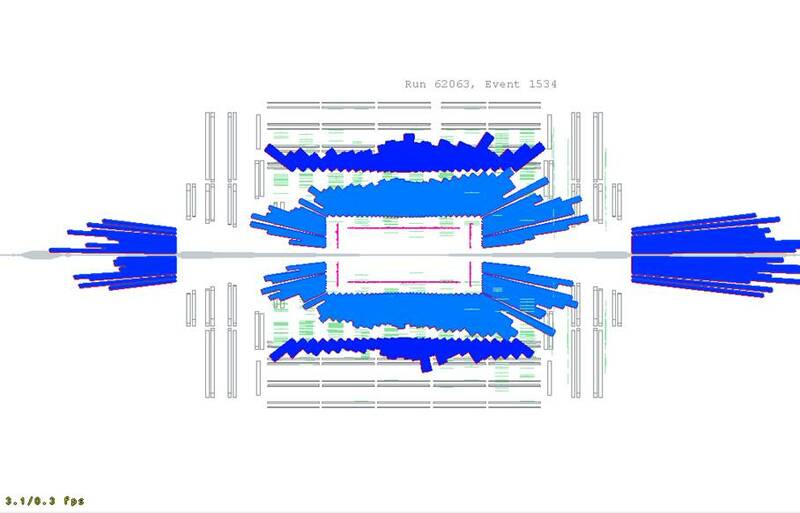 February 2015 LHC Collimation MD requests for Run II have been prepared. 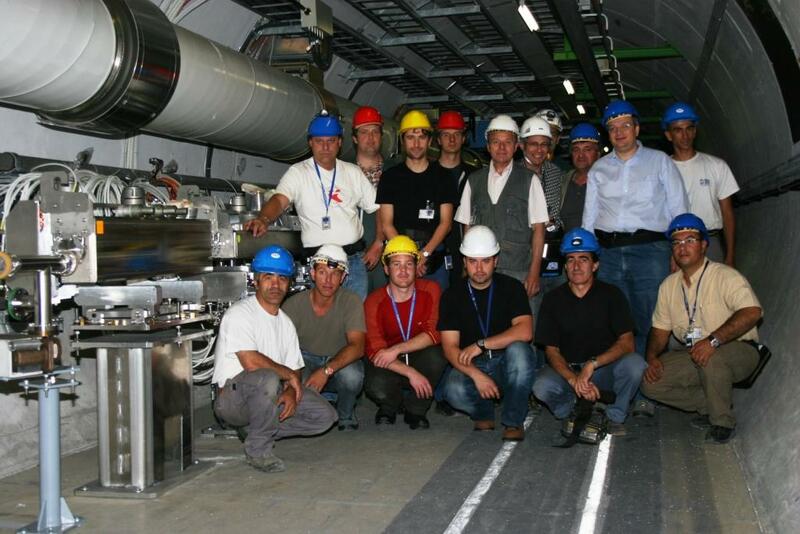 July 2014 All collimators for LHC Run II have been installed. 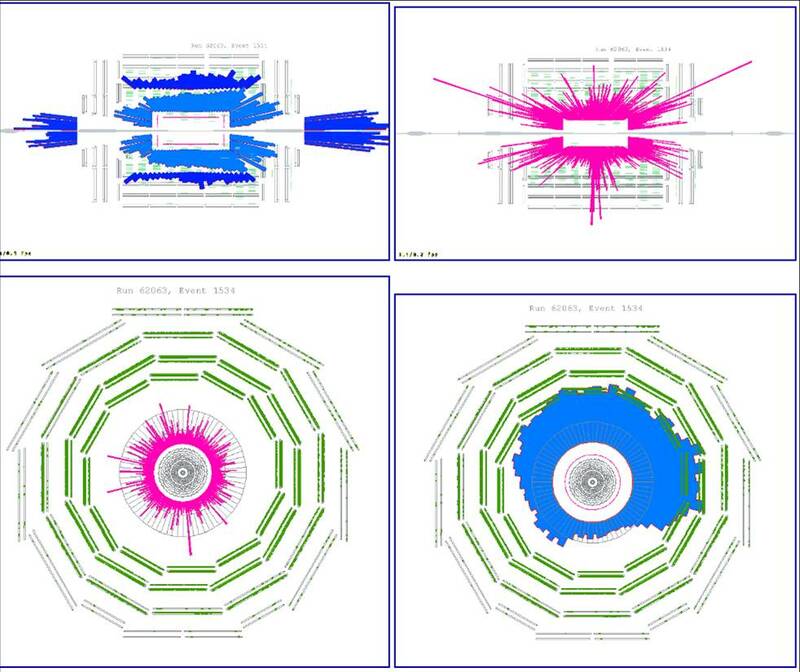 January 2014 The first two TCTPs, Collimators with embedded BPMs from the final series production arrived to CERN. See pictures. 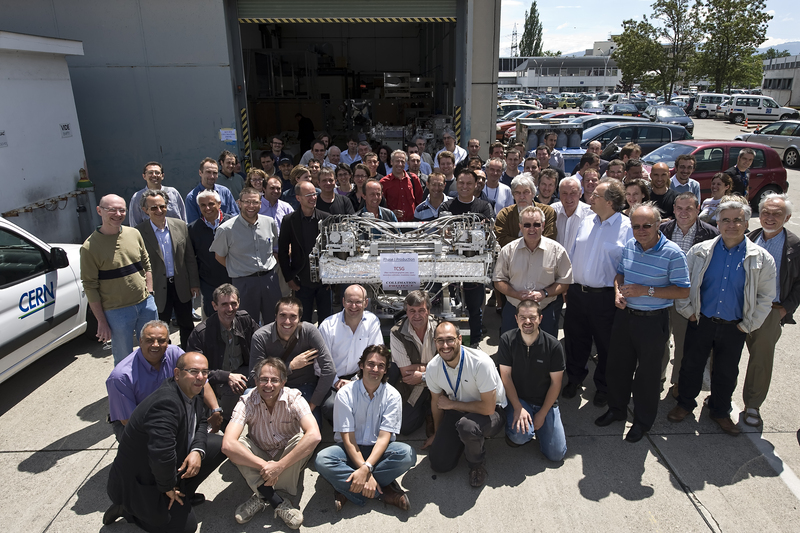 December 2013 The CERN production of 3 Secondary collimators with embedded BPMs (TCSP) is finished. 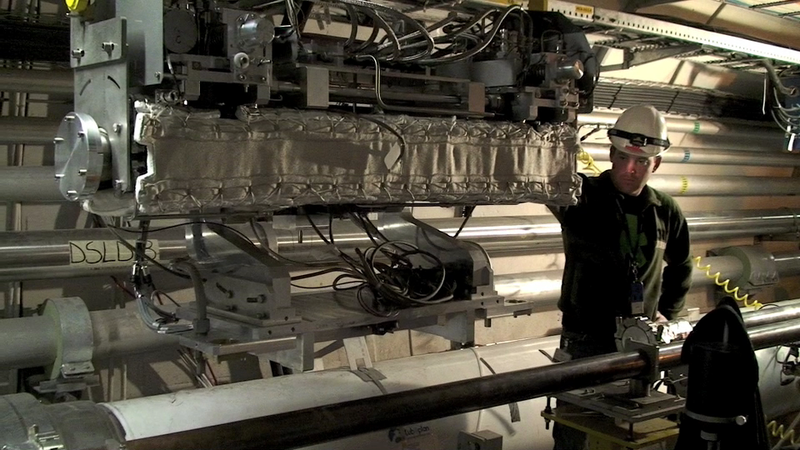 November 2013 Arrival of SLAC rotatable Collimator. 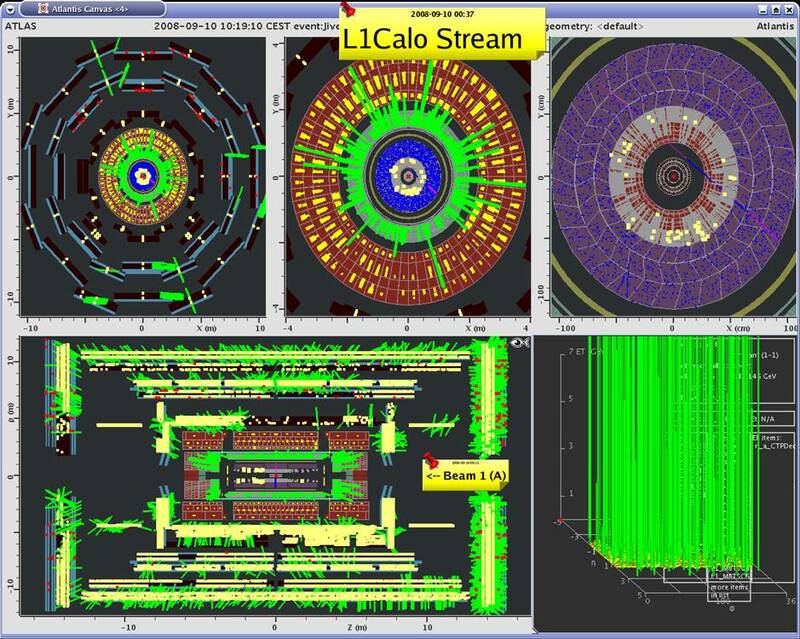 May 2013 LHC Collimation Review 2013 to advise on the present upgrade baseline and in particular the need to pursue R&D on 11T dipoles for possible installation in the LHC for LS2. Find the comments and recommendations from the reviewers at the link. March 2013 Find the most recent results in collimation at IPAC'13. and the pre-press proceedings. 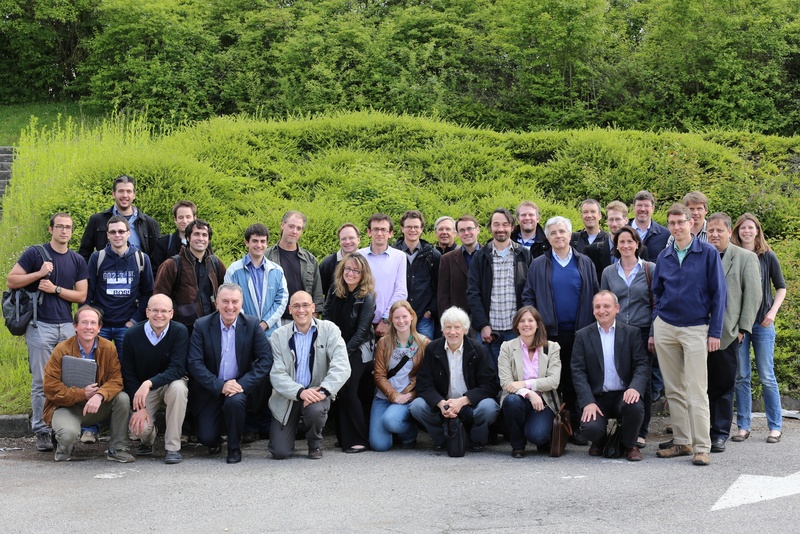 March 2013 Machine Protection Workshop, 11-13 March, Annecy. Discussion of mid- and longer-term improvements of the MP systems. February 2013 Collimator Quench Test. Achieved up to 1.05MW of peak power loss during the test within 5-10seconds, no quench was recorded. Measured quench limit for collimator losses rised by a factor of 2. January 2013 Successful cleaning with tight collimator setting during the 2013 p-Pb run at 4TeV. Find the most relevant loss maps at Loss maps web page. 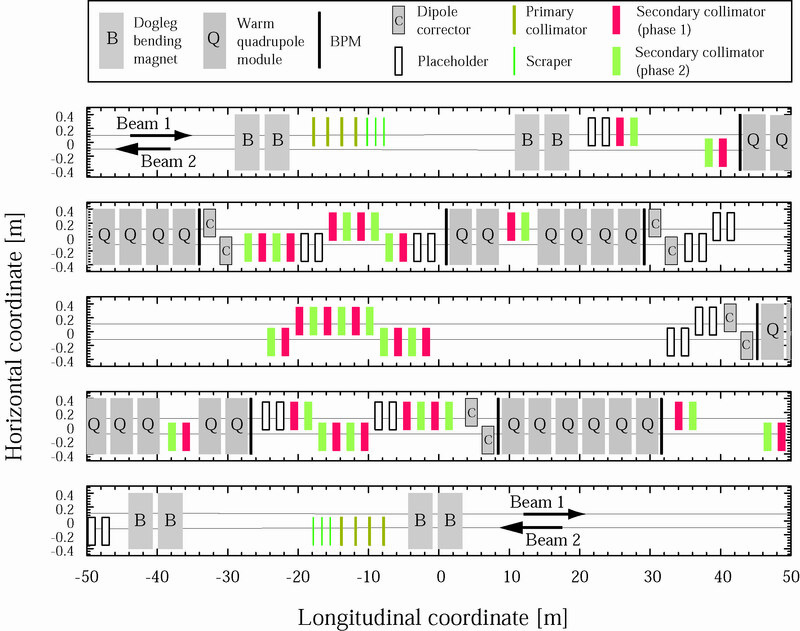 December 2012 Summary of Collimation system performance at Evian 2012 (talk and paper). Excellent cleaning performance in 2012 using Tight Collimator Settings with gaps as small as few mm. The year closed with NO quenches with circulating beams and up to 140 MJ at 4TeV stored energies. June 2011 LHC 2011 External Collimation review. Starting for beam commissioning up to 3.5 TeV and 32 MJ stored energy! New Machine Protection test and result page is put up. The full phase 1 collimation system (4 stage cleaning & protection) is set up for beam cleaning at 450 GeV. Efficiency reaches up to 99.99% with stored beam! Used through injection, ramp and 1.18 TeV! Start update work on code documentation web site. 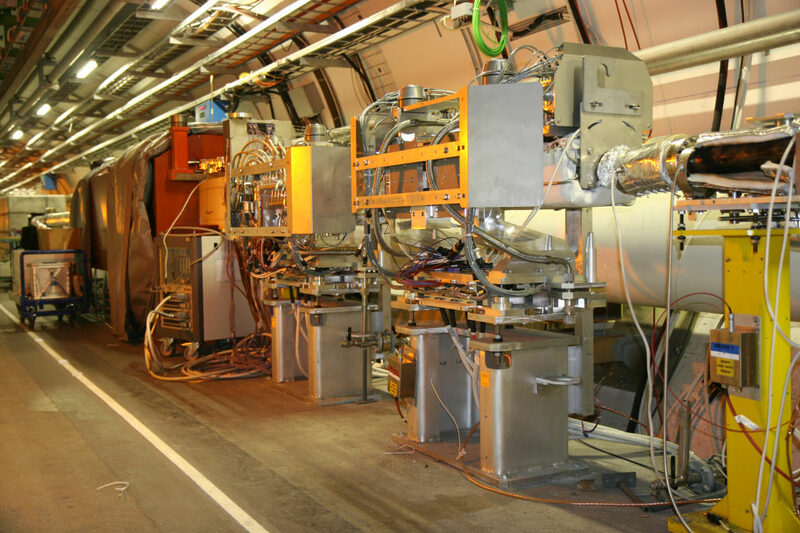 Download: PhD thesis C. Bracco: "Commissioning Scenarios and Tests for the LHC Collimation system"
Use listbox tools (NICE account and password required) to review the present list membership. You can also add and delete subscriptions! Changes will be submitted automatically to the listbox owner for approval! CONTACT Project Team The Project Team web site lists all members, grouped by the different aspects of the project.